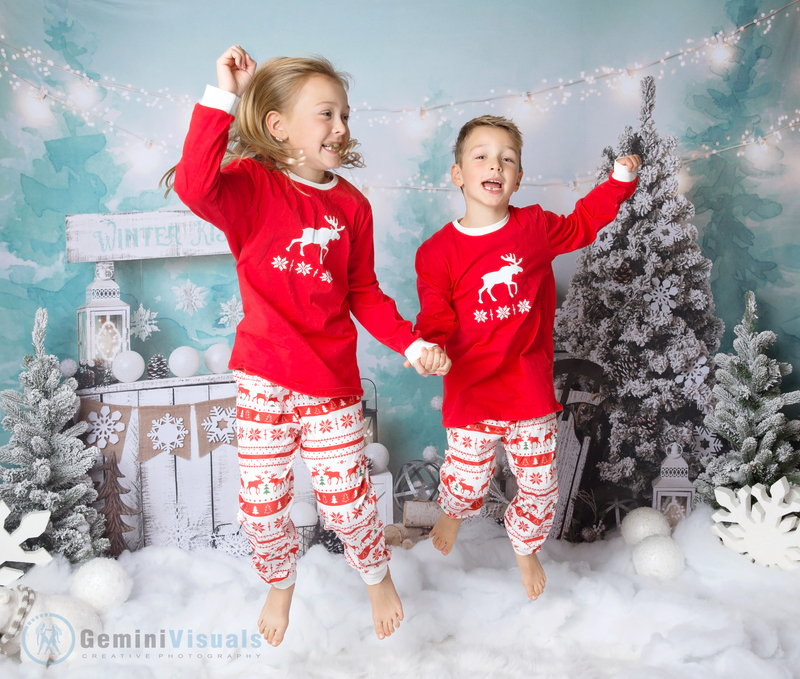 Holiday Mini Sessions have been something that we have been doing at Gemini Visuals for many years now. 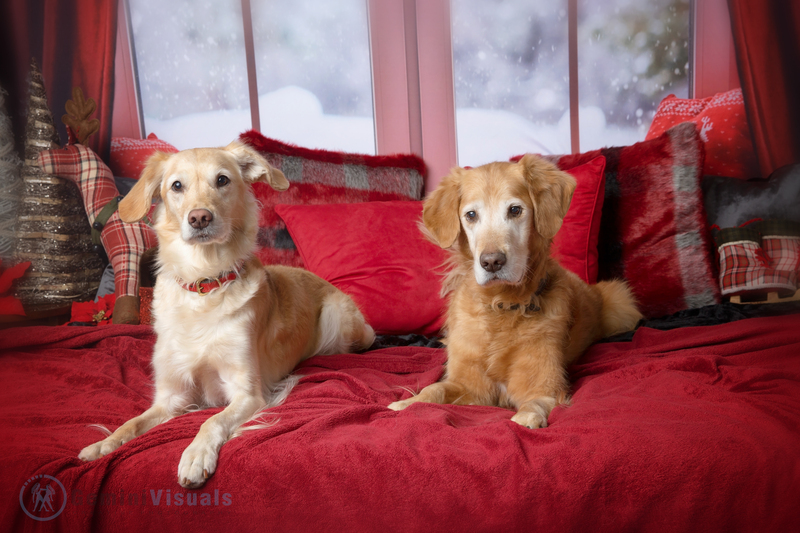 It is always fun to see familiar faces come into the studio for their holiday photo session. Some have been coming for over 8 years – longer than we’ve even had a studio! This year has been a mix of repeat clients, new families, kids and as always, pets too. 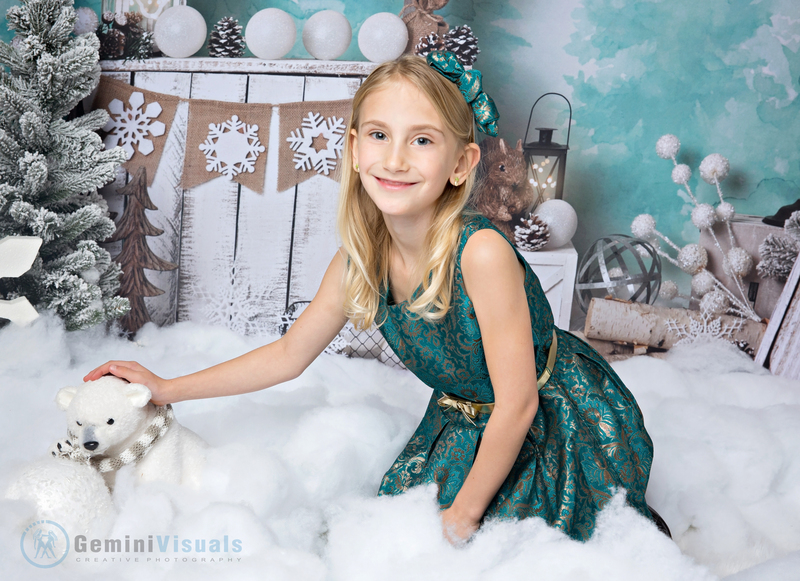 This year we added 3 new holiday backdrops to our studio specifically for our Holiday Mini Session photos. The blue icy backdrop with snow is more cool tones, whereas the red Holiday window backdrop is gorgeous reds and and warmer toned accessories. 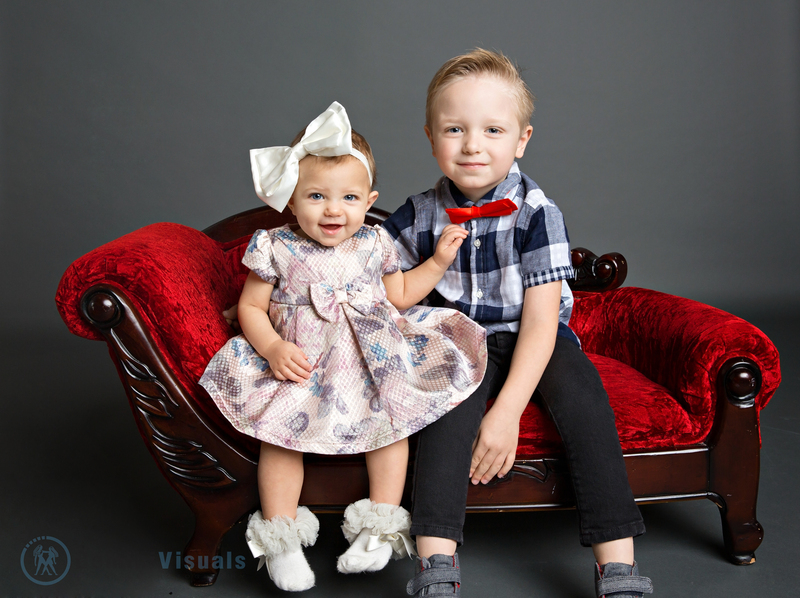 The rustic wood and trees backdrop looks great with more minimal accessories, and we also have a plain neutral backdrop available for families that are interested in using their mini session photos year round. 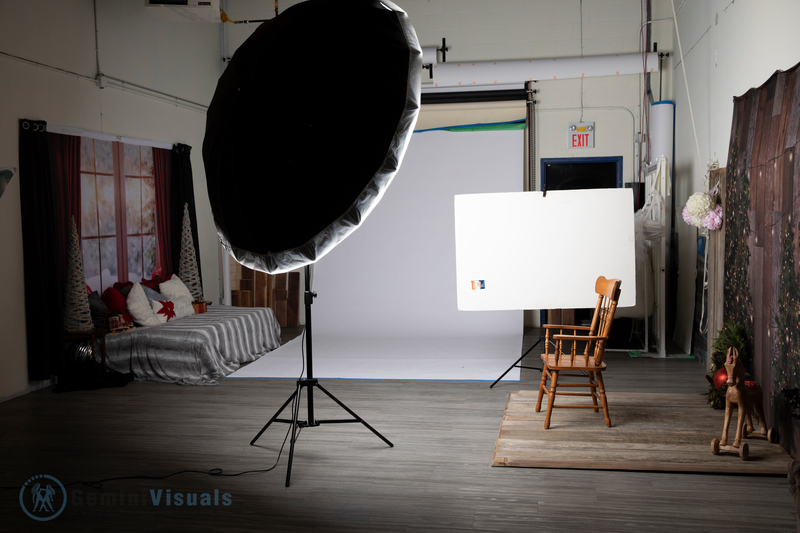 The new backdrops were a huge hit this year, and perfect for accommodating larger groups. Every year Adrienne likes to try a variety of different things to make each set of photos new and different for our clients. Different props and backdrops plus the addition of client ideas as well. Some clients dress similarly, or do a set of pajama photos for fun. We also welcome your ideas, and if candids are your style, we can do that also. 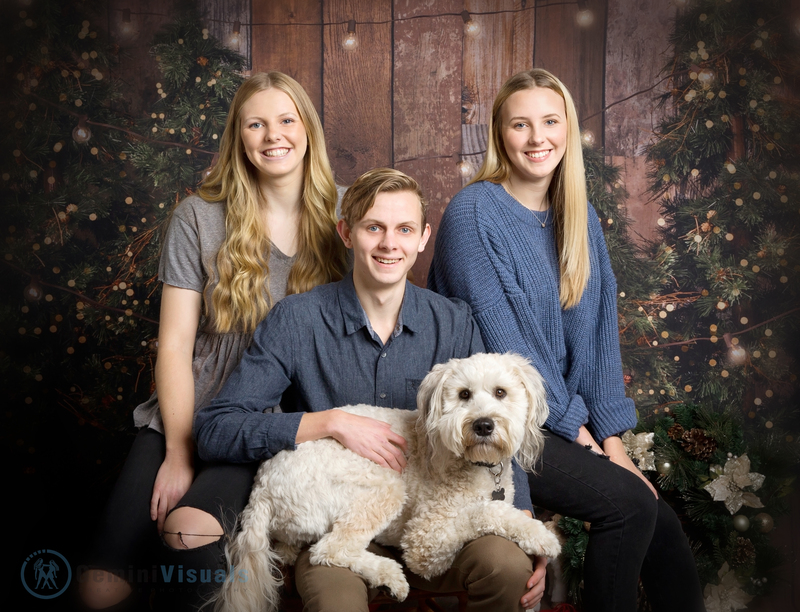 It is always sad to see some groups missing their 4 legged family members this year, but we are always happy to capture the new chapter in their lives. Pets are always welcome for photos at Gemini Visuals Creative Photography. We are already planning our sets for Holiday Mini Sessions in 2019! In the meantime, we will be doing a variety of different packages and sessions in the Spring, including Creative Dance Mini Sessions, starting in January. 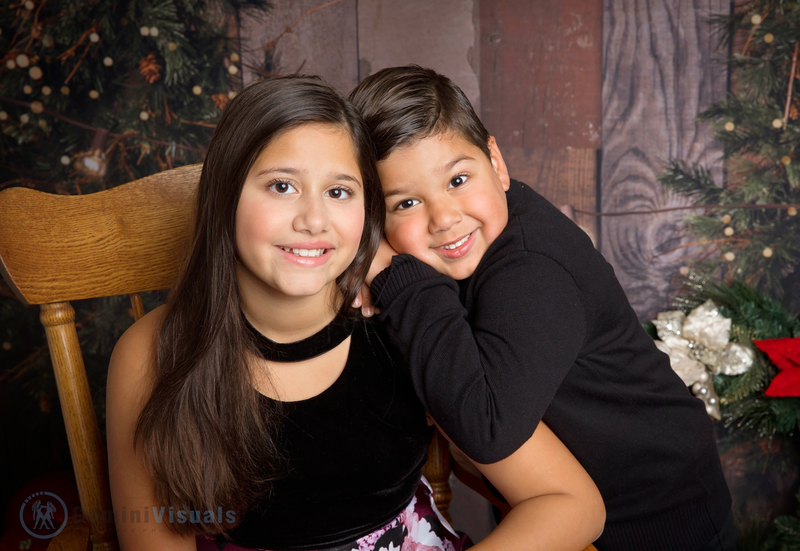 Photographer | Mini Sessions for the Holiday Season!